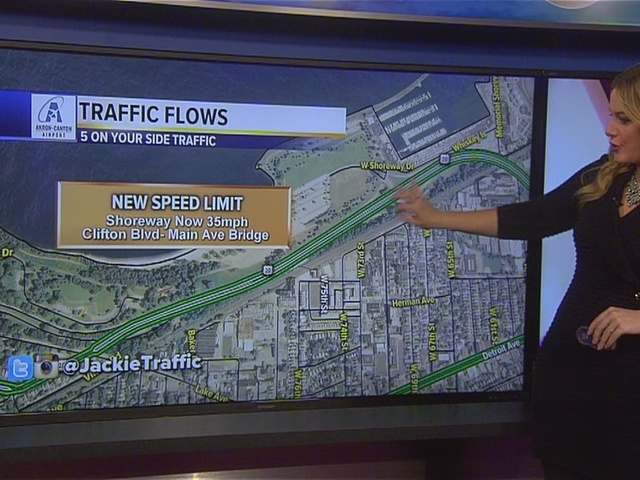 The speed limit for a stretch of the Shoreway is permanently dropping to 35 mph as it becomes a tree-lined boulevard. 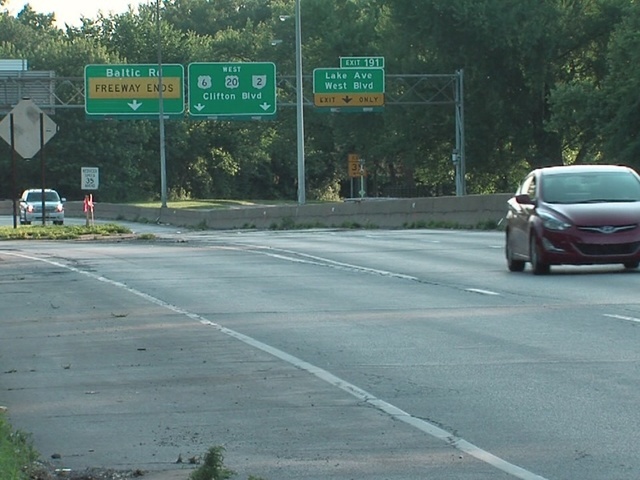 The speed limit for both east and westbound lanes will drop to 35 mph between Clifton Boulevard and the Main Avenue Bridge. This is a decrease from the original 40 mph speed. Starting Monday, two-way traffic will also resume on the Herman Avenue bridge. Drivers coming from the West 49th Street bridge can cross the bridge and and enter the Shoreway westbound. On the Shoreway, one lane will remain closed in each direction.